Whether you are in the market to buy your first home or your seventh, it’s important to weigh all of your options. Often we are left with many types of homes to choose from and one of those options (that you may overlook) is a foreclosed home…What exactly is that? In basic terms, it’s when a homeowner stops paying their mortgage. When this happens, the home is seized from the owner and will either be auctioned off or purchased by a bank for resale at a later date. So what makes buying a foreclosure the best choice for you? In order to make a wise decision, take some time to weigh the pros and cons of buying a foreclosure. Some foreclosed homes can be considered “diamonds in the rough”—beautiful structures that just need a little love and updating. This is a great chance to have a home that is a ‘blank canvas’ for you to design exactly as you please. Whether the home is auctioned off or sold by the bank, it’s going to come at a discount. This discount can include the price, down payments, closing costs, and more. This should come as no surprise since the banks and auctions want to sell these homes quickly to avoid paying more. Simply put, they purchase foreclosures and sell them quickly to make a small profit. If you decide to make those upgrades, you’ll have a great chance of your home’s value going up, potentially even sky-rocketing! This obviously depends on several factors such as location, upgrades, repairs, or the current state of the housing market. Buying a foreclosed home comes with several items to take into consideration and some of those factors may sway you from purchasing. A major point to consider is the risk that most foreclosed homes come “as-is,” which may include any necessary repairs and updates. If you purchase a foreclosed home, you may not be aware of the costs involved to make these mandatory updates and repairs. There may even be repairs you were unaware of (especially if the home did not need an inspection) and could be very costly in the short-term or long-term. While these homes can come at amazing prices, you might have to pay cash to purchase the home if the home is bought at an auction. In that case, a home loan may not be an option. So make sure you do your research before you place your bid. 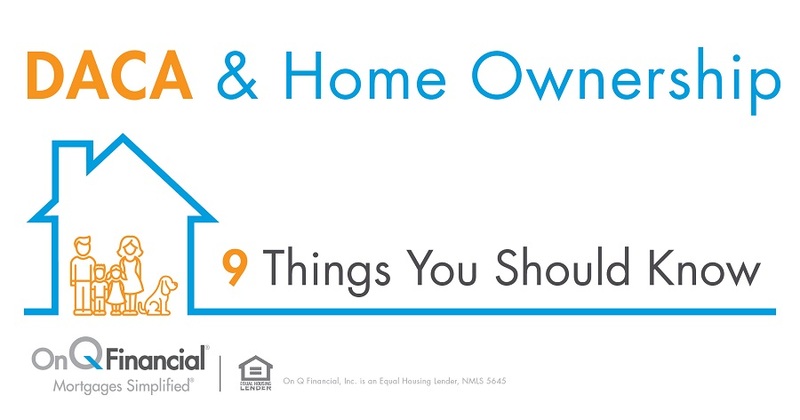 More importantly, know what you will be able to afford. Even if your foreclosure only needs some updating, it could be a lot more work than you think! These changes can range anywhere from fixing it yourself to having to hire outside contractors to get the job done. Both of these options can cost you a lot of time, money, and effort. Is a Foreclosed Home the Answer for You? Now that you have read and weighed your options, remember that decisions like this can take a lot of time and consideration to make. Speak with friends, family, and most importantly your local On Q Financial, Inc. mortgage consultant to help you through this major decision. Our licensed professional Mortgage Consultants are here to answer any questions you may have about foreclosures, home-buying, and mortgages in general. Don’t hesitate and contact us today!